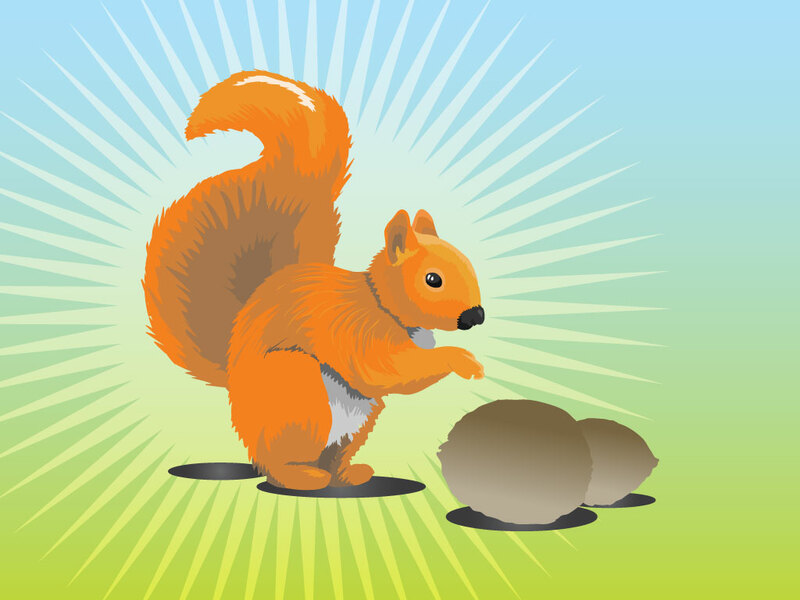 Download this vector illustration of a cute squirrel looking over a couple of nuts. Although squirrels are rodents most people see them as cute and cartoon like. A nice image for your nature and wildlife designs. Tags: Animal, Chipmunk, Cute, Nature, Nuts, Rodent, Squirrel, Wildlife.